Nelson was placed on injured reserve Wednesday with a shoulder injury, Matt Schneidman of The San Jose Mercury News reports. 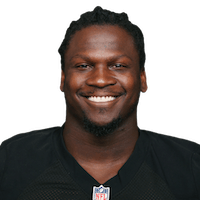 Analysis: Following his placement on IR, Nelson's 2018 campaign will come to an end. The 34-year-old capped off his 11th season with 25 tackles and two interceptions. Nelson will become an unrestricted free agent following this season. 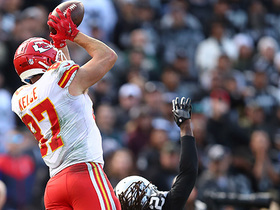 Kansas City Chiefs tight end Travis Kelce goes WAY UP for a 41-yard catch against the Oakland Raiders. 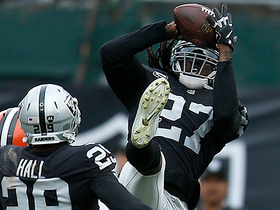 Oakland Raiders safety Reggie Nelson hauls in a twice-tipped pass for an interception. San Francisco 49ers running back Raheem Mostert runs though the defense for 14 yards. 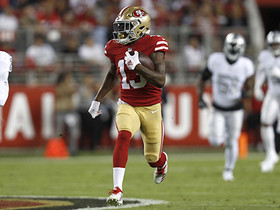 San Francisco 49ers wide receiver Richie James shows off wheels on 53-yard catch and run. 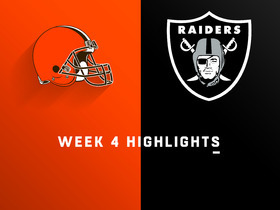 Watch the highlights as the Cleveland Browns take on the Oakland Raiders in Week 4 of the 2018 NFL season. 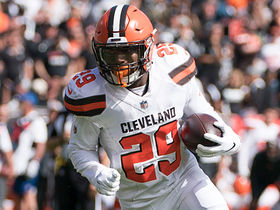 Cleveland Browns quarterback Baker Mayfield lobs a pass to his running back Duke Johnson for 19 yards. 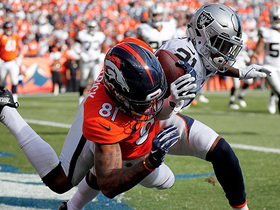 Oakland Raiders safety Reggie Nelson intercepts Cleveland Browns quarterback Baker Mayfield deep to force OT. 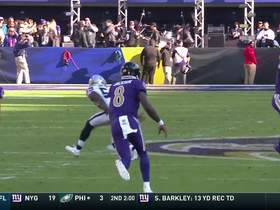 Denver Broncos quarterback Case Keenum finds wide receiver Tim Patrick for a 26-yard completion to set up a field goal. 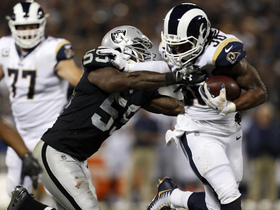 Los Angeles Rams running back Todd Gurley stiff arms 335-pound D-lineman to turf on 15-yard run. 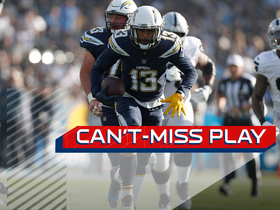 Los Angeles Chargers wide receiver Keenan Allen takes running back Melvin Gordon's fumble to the house for a 27-yard return touchdown.